The products ability to stand up to sterilization or autoclave. Now these three key criteria are at respectable levels so you can review and proceed toward implementation of an affordable, properly sized, tested solution. These RFID tags can not only be radio frequency tags but they can also be barcode identifiers . This solution can accommodate large moves of a group of items at one time and once moved to a location such as a dispensary or ancillary stock room, the item can then be checked out to a staff member, student, or location for use. These RFID tags require a complete site survey which will lead to a proper assessment of your physical plant. Once an assessment is completed we will recommend the proper software from A*STAR™ as well as the necessary “portals” or readers to monitor your group transfers or movements. Please contact us for further information. 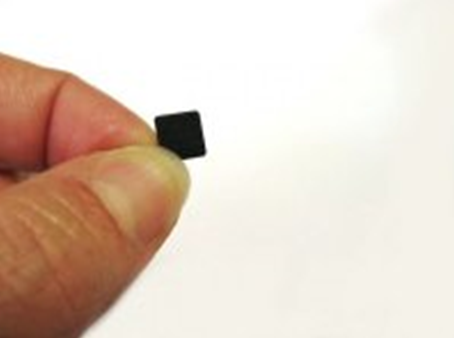 This is one of the smallest (7 x 7 x 1.4 mm) sturdy encapsulated UHF tags available on the market. 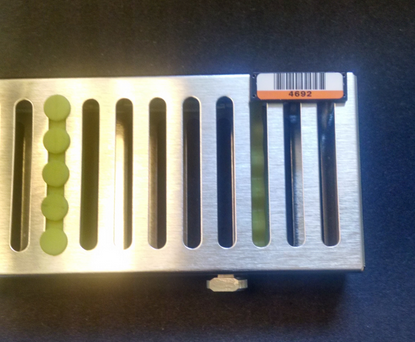 It is able to resist harsh processes and can also host a unique barcode. It is low in price and discrete while easy to affix to the asset. Contact us for additional information or to discuss a site analysis of your environment.